Torrington PAL (Police Activities League) is one of 25 PAL chapters nationwide. 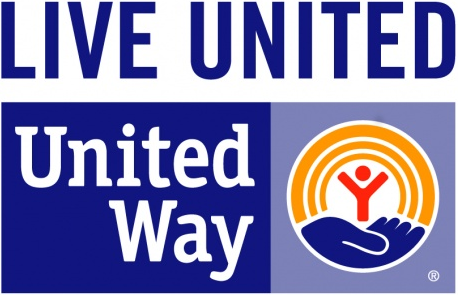 The United Way member agency is hoping to enroll 30-40 children in their after-school program. So far, 12 students from Southwest School are enrolled. The once a week program will run until the end of the school year. Curriculum includes field trips and community speakers to help children learn skills, such as how to deal with bullying, and building connections with the community. Funding from grants totaling $65,000 will be used to purchase textbooks and supplies. 2-1-1 Connecticut is pleased to announce the launch of its new website, which is designed to work on any device, and is built around a powerful new search engine that makes it easier than ever for users to find what they need. The 2-1-1 Connecticut search engine now works with common language search terms, makes proactive search suggestions, and includes links to related topics and relevant 2-1-1 eLibrary articles on the results page. The new site is also location-aware, and uses location information from a user's device (if enabled) to show search results for agencies and programs serving that area. Search results are displayed in a list form with basic agency and program information. With a single click in any search result, users can call an agency, visit their website, get directions, or see more details. Results are also plotted on an interactive map, allowing users to quickly identify the nearest programs and filter the results by geographic radius. Details from any search result can be shared by email or text message*, and agencies can submit updated information about their programs and services through the "Report Update" button on their listing. Users can access the new 2-1-1 website at www.211ct.org, and will have full use of all its features whether visiting from a desktop computer, laptop, tablet, or smartphone. In FY2015, 2-1-1 Connecticut handled 331,479 calls from Connecticut residents, and received more than 900,000 visits to 211ct.org--a substantial increase over FY2014, in which 211ct.org received 526,000 visits. The new 2-1-1 Connecticut website was made possible by a grant from the State of Connecticut, awarded to United Way of Connecticut through the Nonprofit Grant Program in 2014. 2-1-1 Connecticut worked closely with its information and referral software provider iCarol and with MojoTech to develop a new website that is easy for anyone to use from any device. In 2016, 2-1-1 Connecticut will celebrate 40 years of service. 2-1-1 Connecticut began as Infoline in 1976, originally a public/private partnership between Connecticut United Ways and the State of Connecticut. In 1999, Connecticut became the first state to use 2-1-1 for toll-free, statewide information and referral to health and human services.